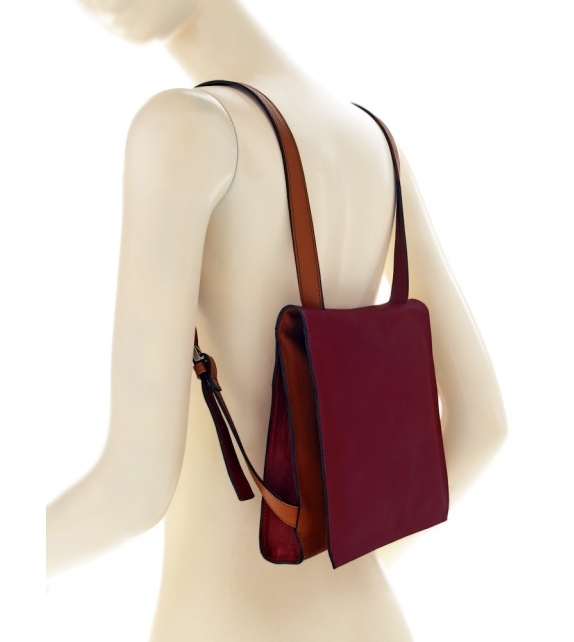 Backpack with a slighter less capacity than the "large beetle". 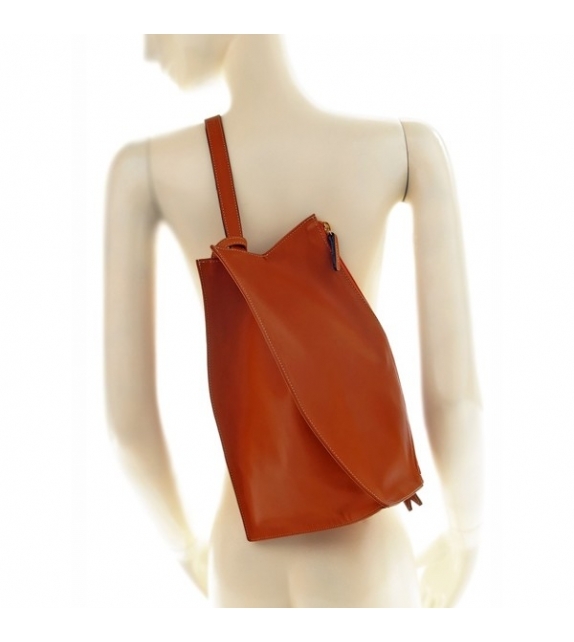 It has two compartments and a small outside pocket strapped to the handle to carry frequently used things. 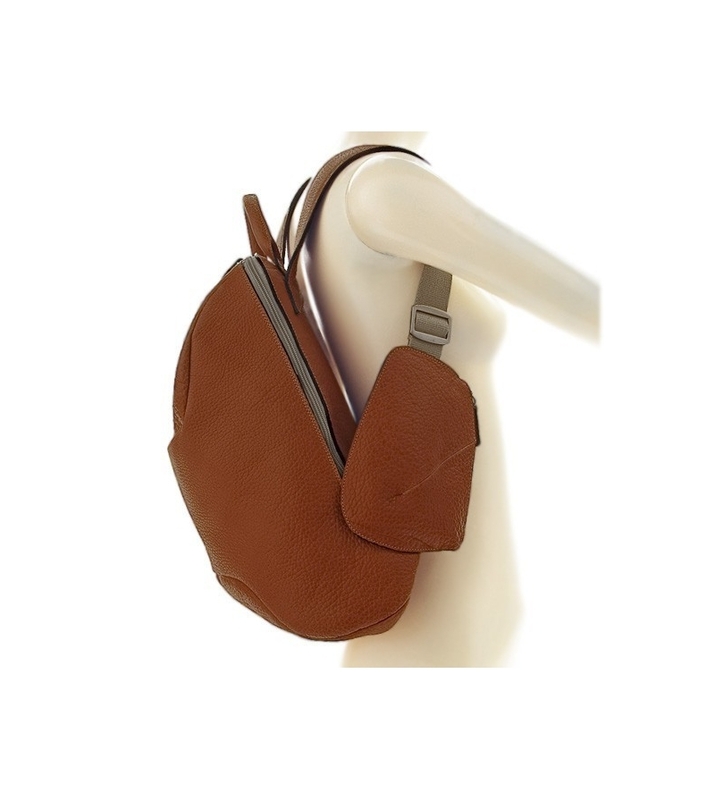 The original fold of the sides of two conjoined hexagons shapes this particular tetrahedron backpack. 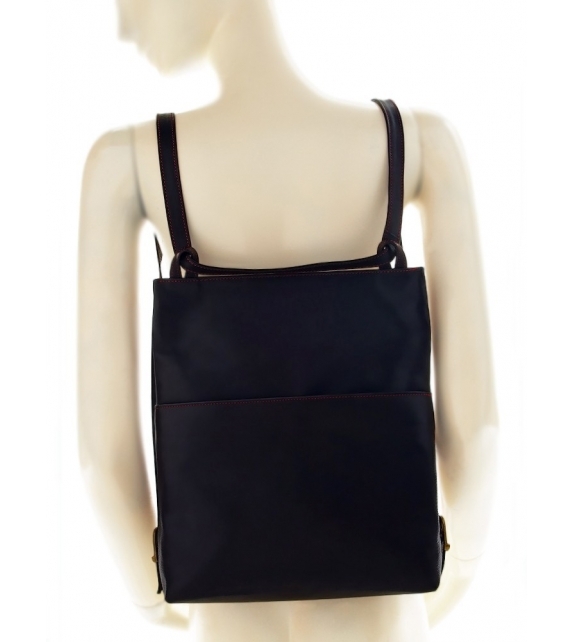 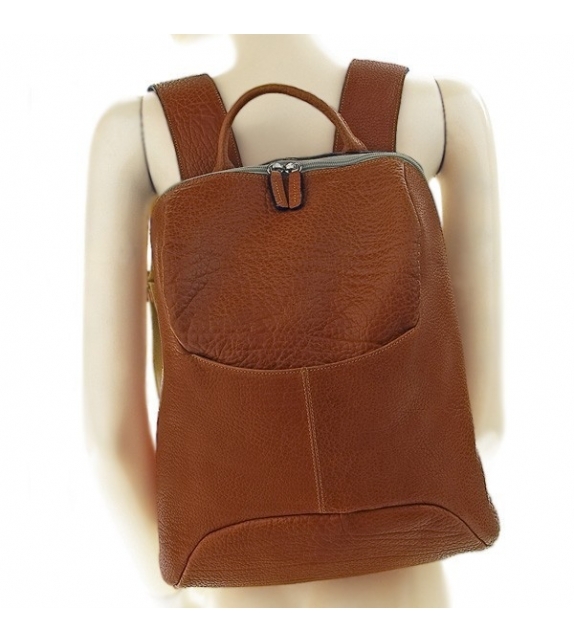 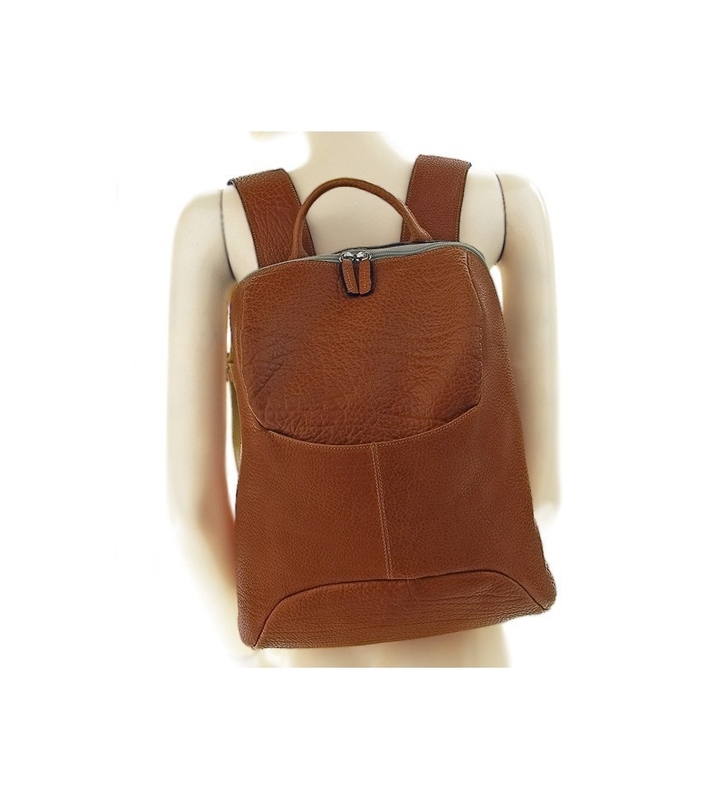 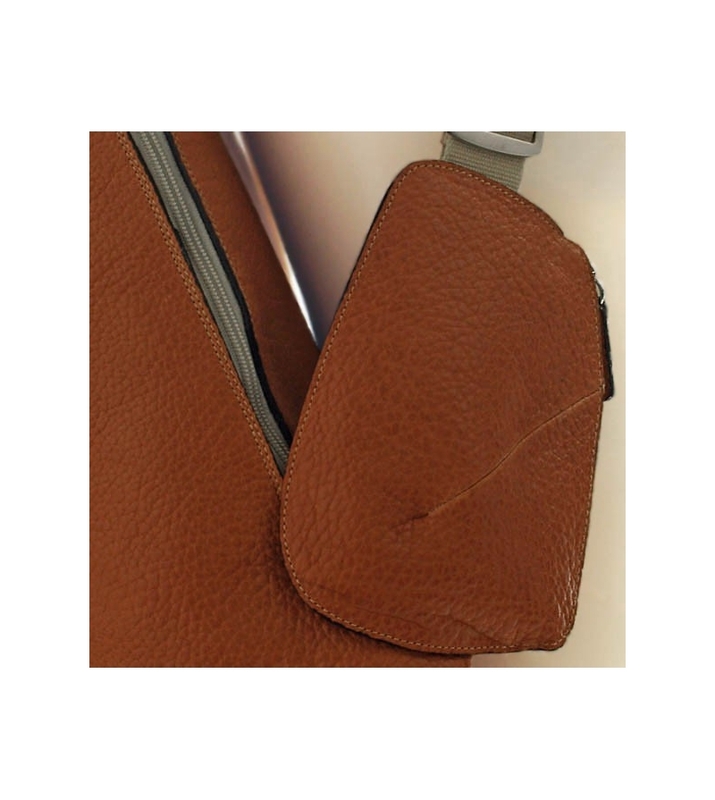 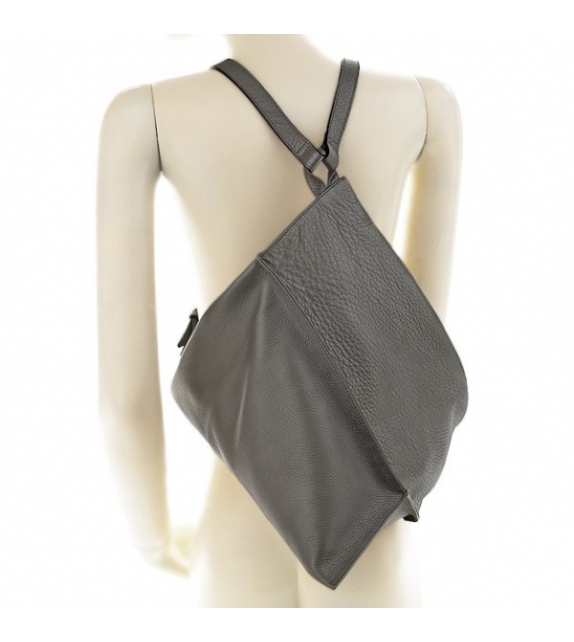 It has a main back closure with a zipper and an inside auxiliary pocket hanging from a strip. 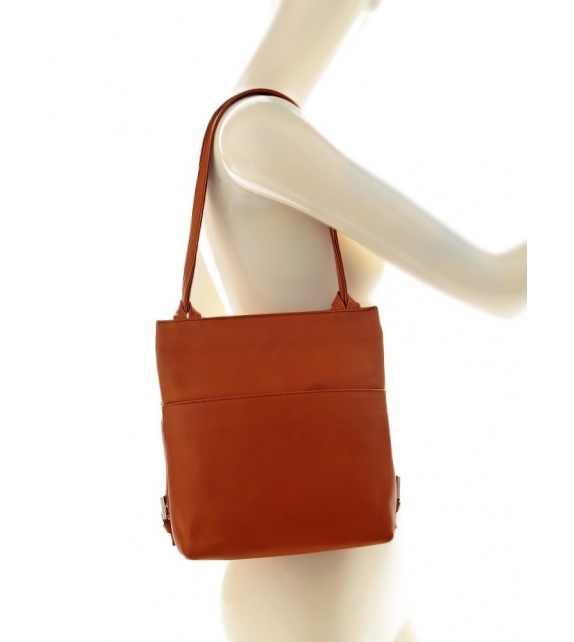 As a shoulder bag it is worn on the right.